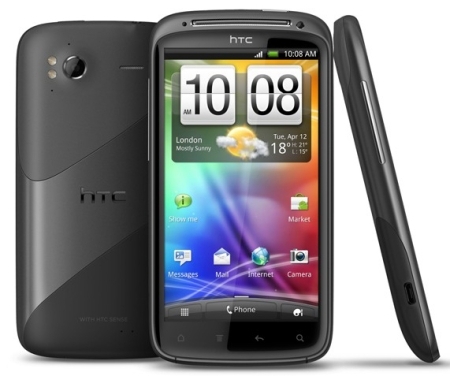 The gradual launch of the “Ice Cream Sandwich” update for last year’s HTC Android models has hit Vodafone, with the UK network releasing the upgrade for the HTC Sensation today. Last night Vodafone said the upgrade would start to hit Sensation users from today, March 29th, so it should be there or thereabouts right now. Great news. The testing of the ICS update for HTC Sensation is complete, and we plan to start rolling out the update tomorrow, 29th March. The update will be rolled out in phases by the Over The Air service, so if yours doesn’t appear right away, you can either wait for it to appear, or go to Settings > About Phone > Software Update > Check now. That’ll be exciting for all concerned. Still no word on the Galaxy S II ICS update for Vodafone users, which is still stuck within the company’s mysterious testing facility.